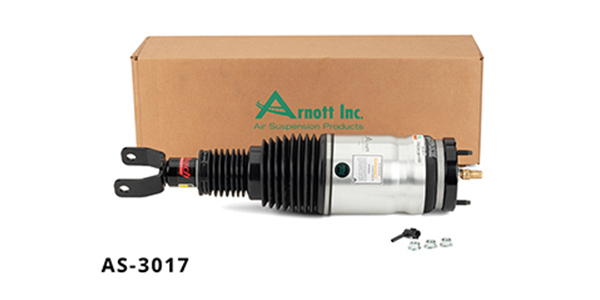 Arnott has introduced its first air suspension replacement product for the 2013-’18 RAM 1500 platform. The Arnott designed front strut AS-3017, which is brand-new and not remanufactured, also is the first Arnott air strut launched in partnership with Eibach. 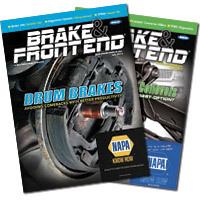 Both companies worked together to engineer a high-performance damper precisely valved to ride like the OE. The universal strut assembly fits either the left or right side of RAM 1500 trucks equipped with optional air suspension. The strut also features other Tier 1 components such as a multi-ply cross-cord air spring bladder manufactured by ContiTech, heavy duty crimping rings, oil resistant seals, polyurethane bump stop, check valve and VOSS air fitting. The top is CNC machined by Arnott using aircraft quality aluminum to provide outstanding strength and durability. This Arnott-designed new RAM 1500 strut assembly is engineered and assembled in the U.S. and is backed by Arnott’s warranty. A detailed installation manual and step-by-step installation video is available. For more information, visit arnottindustries.com.